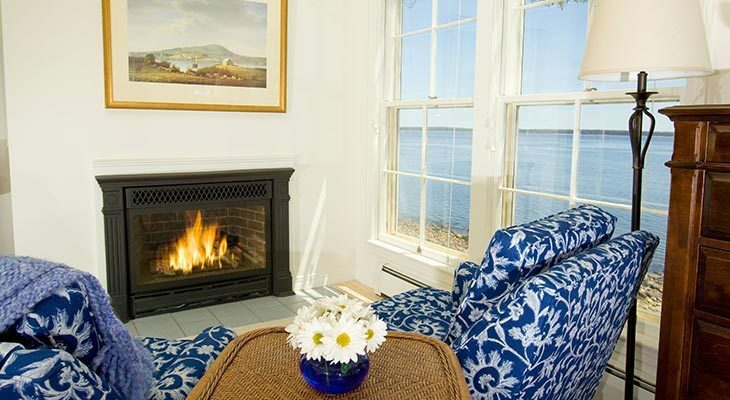 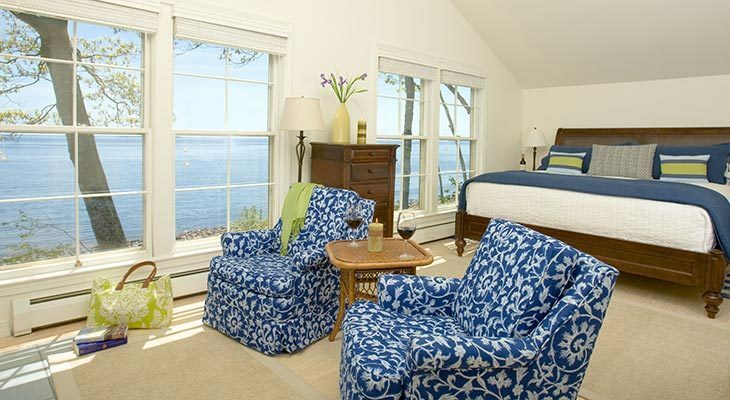 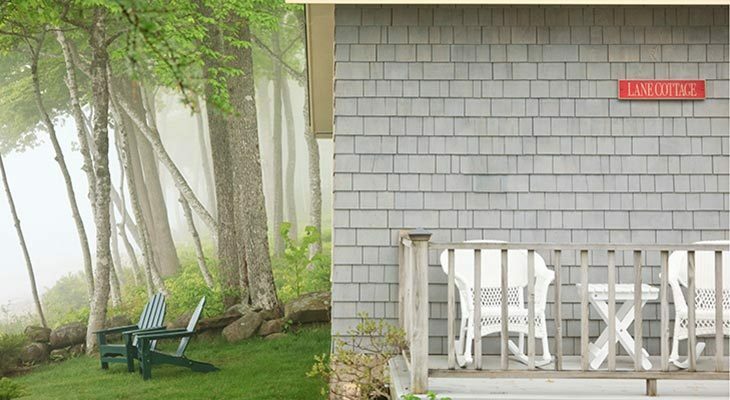 The Fitz Henry Lane Cottage is one of the Inn’s three premium Maine cottages and offers incredible views of the ocean. 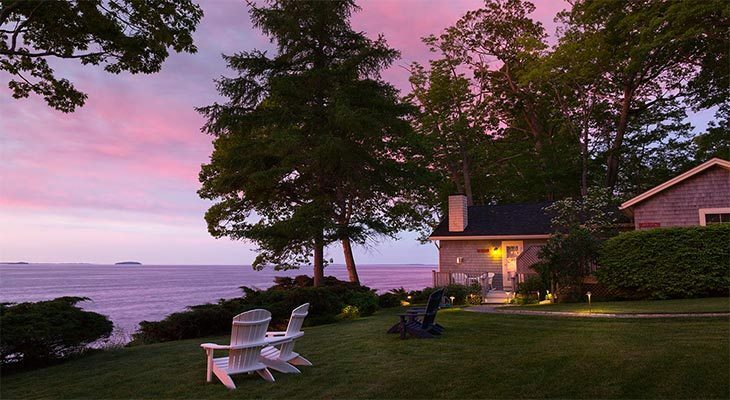 This cottage’s long wall of windows provides a superb vantage point for observing the ebb and flow of the tides over the rocky shoreline. 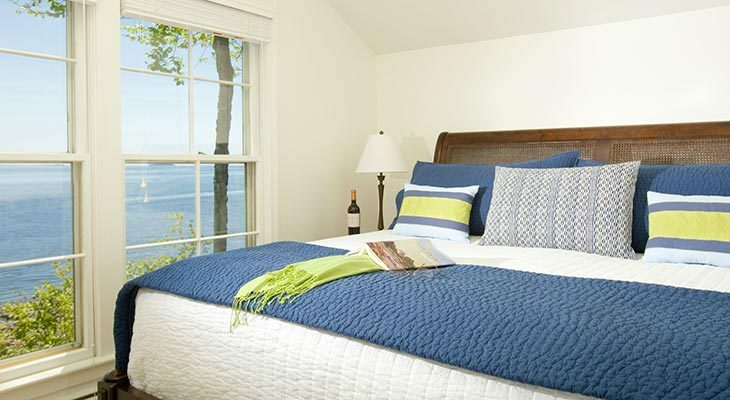 The elegant, plantation style king bed provides the perfect viewing spot for sunrise and moonrise. 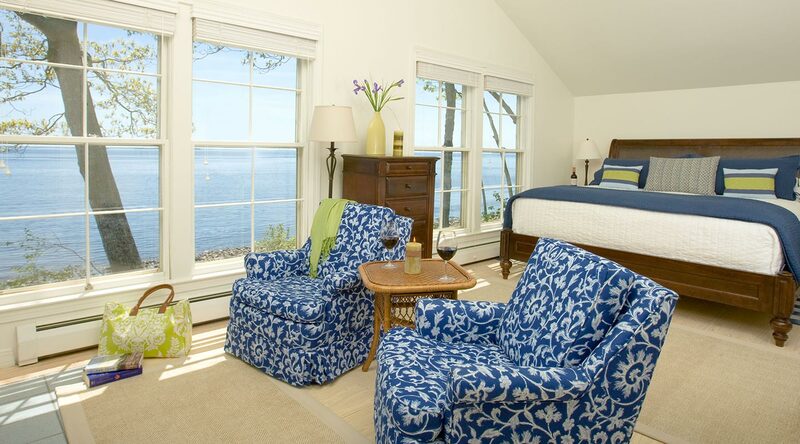 The décor is maritime blues and whites, with British plantation style furnishings. 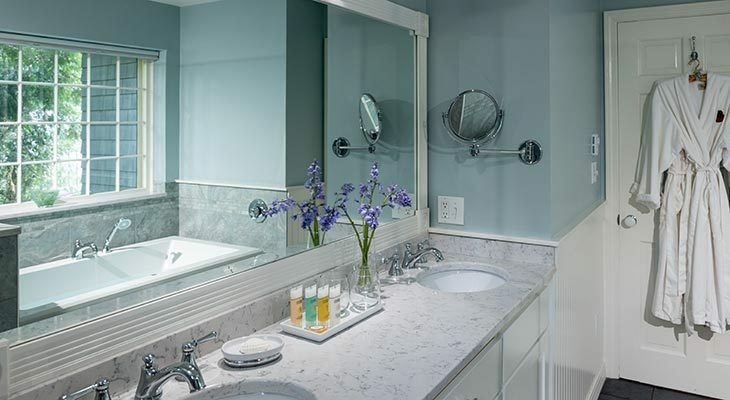 The bathroom is pure luxury with shower with multiple shower heads and deep soaking tub. 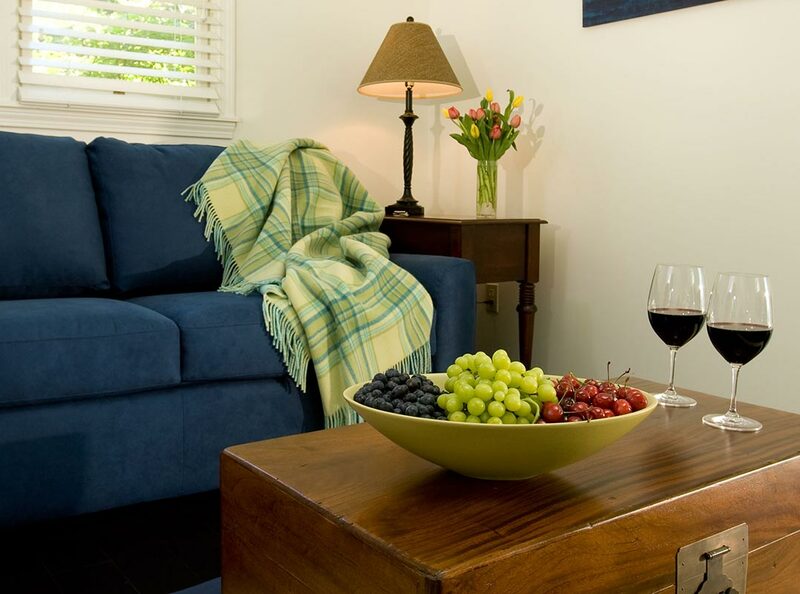 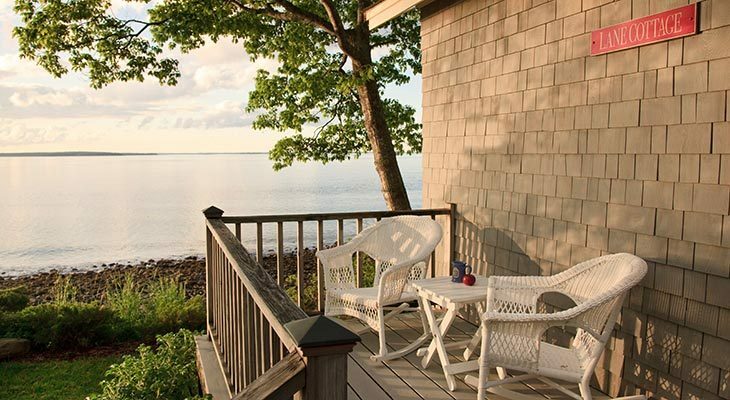 Add a package or enhancement to create the perfect romantic Maine getaway.